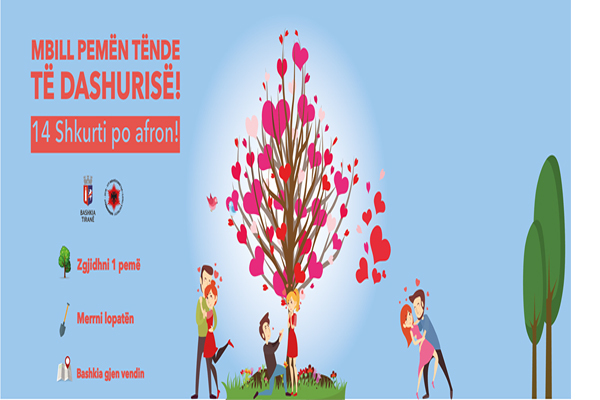 Municipality of Tirana has come with an interesting idea for the Valentine’s Day. They are inviting couples to join the campaign of planting trees for a better city life. The Agency of Parks and Recreation of Municipality will help them to choose the place and plan the tree as a symbol of their love. It’s time to take action to plant more trees for a better city life.